The day is here! If you’ve been living under a rock and haven’t heard, there is a massive new hotel/convention center/destination out near Denver International Airport – and it’s opening up Tuesday morning. 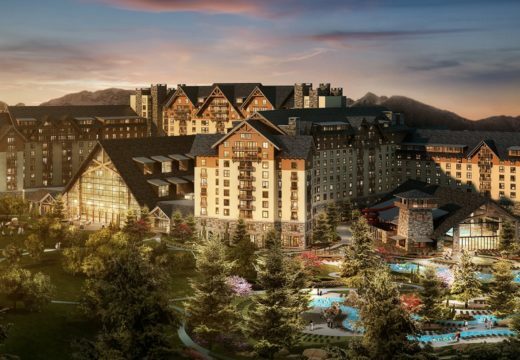 The Gaylord Rockies Resort and Convention Center will open to the public on Dec. 18. The resort features 1,501 hotel rooms, 486,000 square feet of meeting and convention space, and a 47,500-square foot sports bar (complete with a 75-foot tall television). 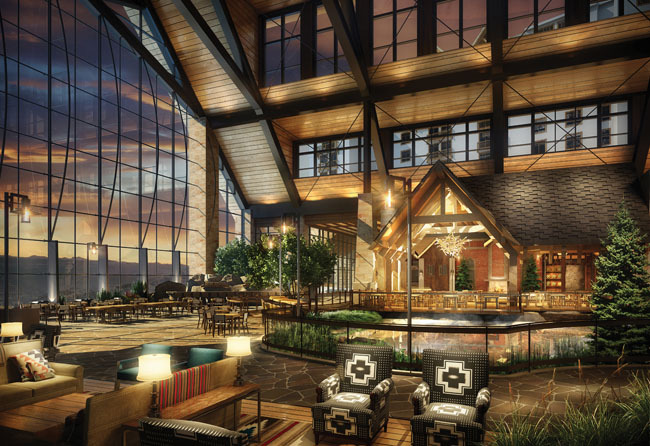 In addition to the massive convention center space and sports bar, the main part of the Gaylord, the Grand Lodge, also has four restaurants that form a ring along the top of the lodge. While guests will be invited inside on Tuesday, most of the corporate business planned at the site won’t begin until 2019. Despite this, vacationing families and curious locals will still be welcome beginning this week. 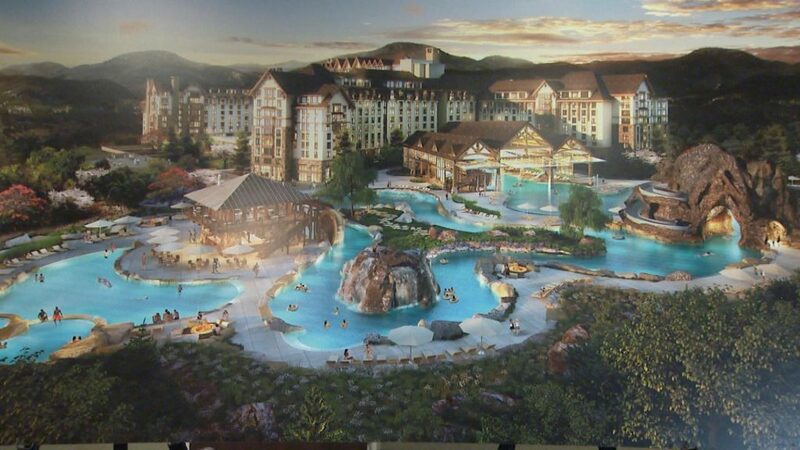 While the general public can visit most parts of the hotel, a 22,000-square-foot indoor/outdoor pool and lazy river area is reserved for hotel guests, according to the Business Journal. OMG, That place looks amazing! We’ve considered going out West for our family vacation this summer! Will definitely need to check this place out and hopefully it’s pet friendly! So are they doing away with the Gardens totally or moving it to some place else? And why did they move there if it was to be zoned for apartments. Sick of Denver selling its soul to developers.